There’s no Throwback Thursday this week, because I’ve decided I just have too much of a backlog to get through! If I keep doing Throwback Thursdays, eventually most of my polishes will be eligible for that category. Hahaha! Today, I have a brand that I haven’t seen up here in Canada. It’s Sacha Cosmetics, more commonly found in the USA and in the Caribbean, where it was founded. 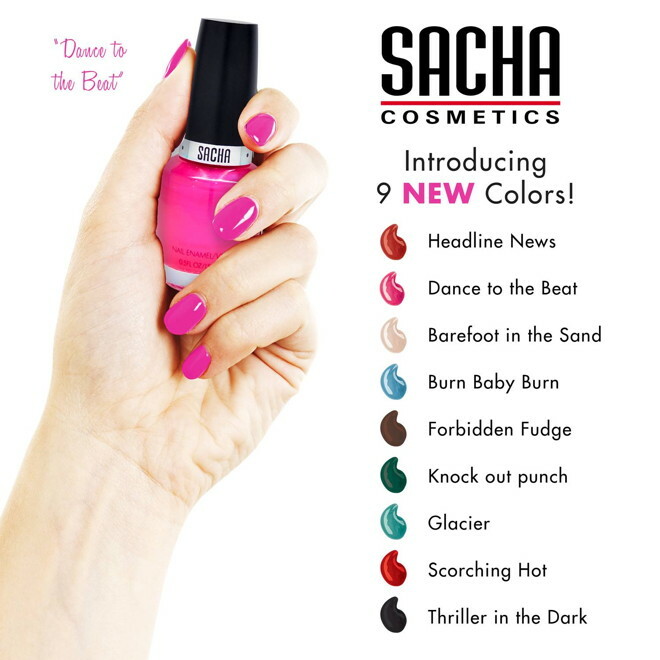 Specifically, Sacha was founded in Trinidad & Tobago, where I have family, so I have a few of their polishes lying around. The brand, now based in Florida, is marketed to women of color, and I always like trying products from such brands because their colors can be so well-pigmented and intense. 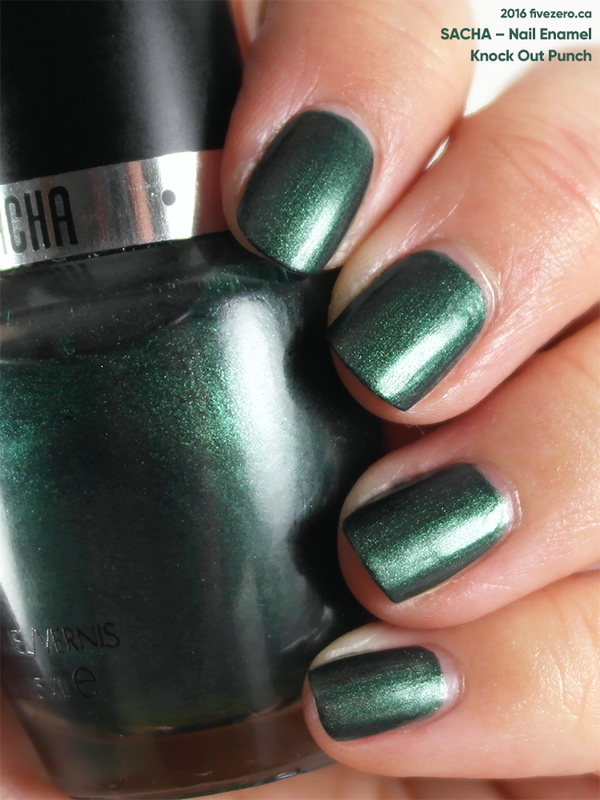 Sacha Nail Enamel, Fall 2013 collection. 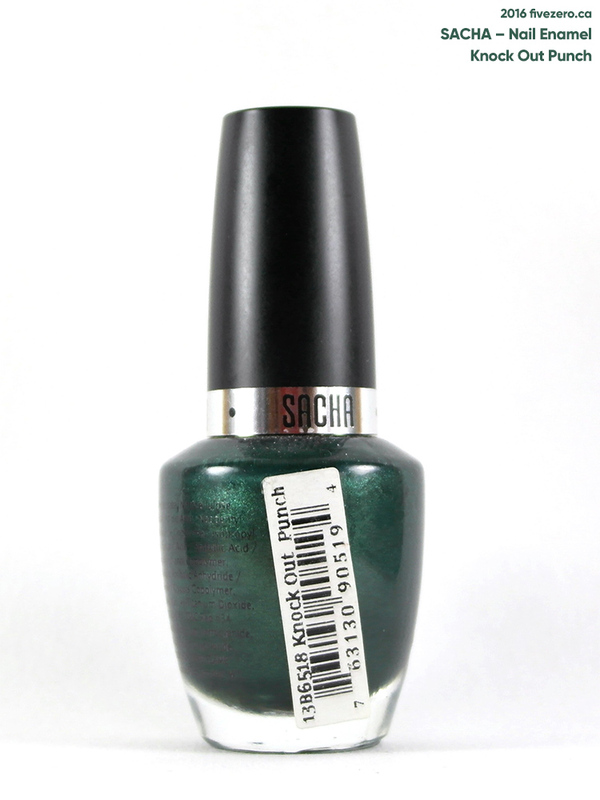 Knock Out Punch is a deep, vampy forest green shimmer. There’s loads of shimmer, so it does veer toward frost-land, but it does go on quite streak-free. I’d put the bottle quality on par with a brand like L.A. Girl (similar cheapy feeling plastic cap). The glass bottle itself has a decent heft, though, and has that familiar OPI-like shape. The brush is on the thin side, but the bristles do have a good flex and the flat, squared off shape of the brush makes it easy to apply the polish. The formula is one of those funky ones where the first coat goes on all horrible and thin, and you just think, “Great, I’m going to need a million coats!” But surprisingly, two coats is all right. I did do three coats for the swatch, and as you can see the coverage is good and the color is pretty nice and deep. The polish also dried quite quickly even with three coats, so that was a bonus. However, it also has a lingering “industrial” smell even after drying. I can’t say I’d run out and buy loads more of these polishes. But on the other hand, if you see a color you really like, it’s worth picking up. I think these aren’t too expensive, as they’re usually found in drugstores. I recall them being fairly inexpensive (a couple US dollars?) in a Trinidad drugstore about eight or nine years ago; I don’t know what the prices are like now in the US. 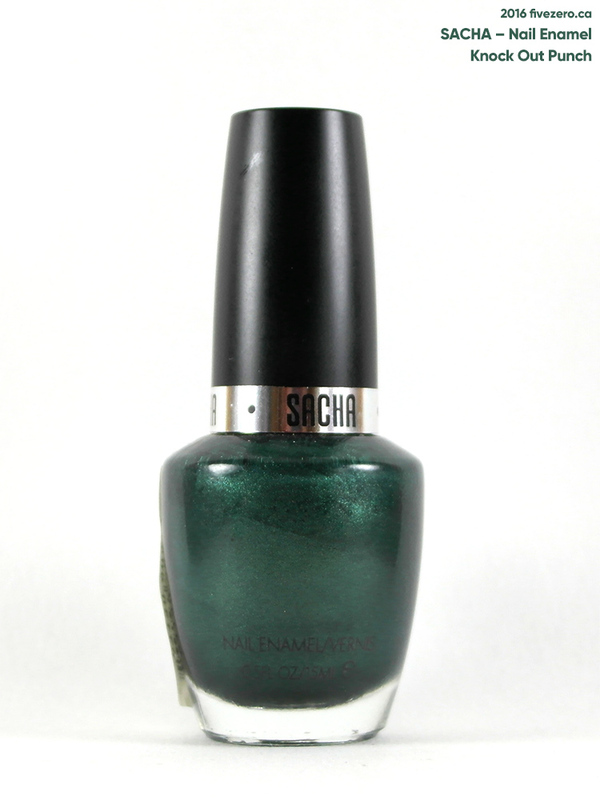 Sacha Cosmetics Nail Enamel is 0.5 fl oz / 15 mL. I do not see formaldehyde, toluene, dibutyl phthalate (DBP), camphor, or formaldehyde resin in the ingredient list. The label does not say where it is made, but reads: “Mfg. by Sacha Cosmetics Ltd., Trinidad W.I.” (West Indies). Sacha was founded in 1979 by Kama Maharaj in Trinidad & Tobago. The company specializes in cosmetics for women of color, and the brand is sold in 45 countries. Sacha is currently based in Coral Springs, FL, USA. I’ve never ever heard / seen this brand! I really like this colour, surprisingly. I totally understand what you mean about those shades that apply terribly on the first coat and is rectified on the second coat. It’s like magic! I am obsessed w this color! I have never seen this brand before, I will be on the lookout! Pretty colors like this for cheap are always great in my book.